Atupele Muluzi, the United Democratic Front (UDF) presidential candidate in the next year’s elections on Sunday travelled to the Shire Valley districts of Chikhwawa and Nsanje where he declared that his’ agenda for change’ would stand the test of time and is unstoppable. Although he has been a subject of castigation and ridicule by the governing People’s Party, Atupele was unfazed as he delivered his message to thousands of supporters in the two districts. “We are focusing on transformational change in four areas: The economy and growth, governance, social protection, peace and security,” said Atupele who drew large crowds at Ngabu, in Chikhwawa. He told the gathering that some people will resist change because they benefit from the status quo and would do anything to prevent change. But he pointed that “change movement is unstoppable”. Atupele reminded the crowds that in the past, there was a railway line that operated from Salima to Nsanje which was the route that thousands of Malawians travelled to Teba in South Africa. “In the late 1970’s and early 1980’s we hosted the regional football tournament at Kamuzu Stadium in the evening under flood lights. Today we cannot do that. There are many more examples that Malawians must reflect on. We need a new Agenda for Malawi. Malawi needs renewal,” said Atupele. He said that it is sad that 49 years after independence, the majority of Malawians are still wallowing in abject poverty, saying that the situation has been caused by weak leadership and governance. Atupele urged people yearning for “genuine” renewal and improvement of Malawi to support his candidature. “But let me also encourage those others in UDF who have been, and still are, working with us in this project for national renewal, to remain steadfast and not be intimidated,” he said. 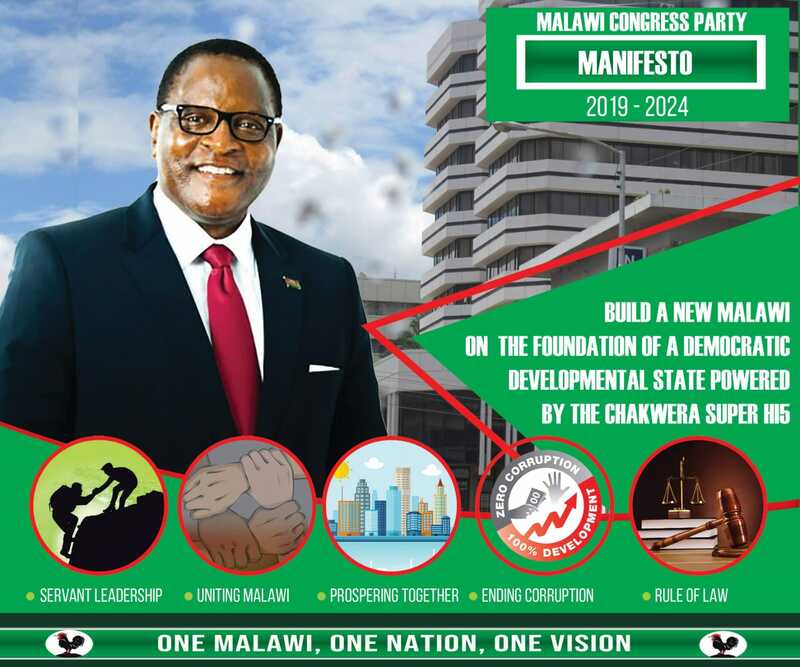 Atupele said he will form a “winning team” blending people of all talents to provide Malawi with “strong, stable and determined leadership” and tackle the problems the country is facing. He also said those who write him off will be proved wrong. Atupele said he is taking the lead in transforming the general political terrain of the country from political rivals engaged in all bad vices to one in which the country’s political opponents will engage in a constructive competition of ideas. During the rallies, Atupele was joined among others former Governor of Reserve Bank of Malawi, Victor Mbewe attended. Mbewe was elected in absentia at UDF convention last year as Director of Economic Affairs. He also welcomed renowned Malawi’s gender activist Faustace Chirwa who has joined UDF.